Zimbabwe, situated in the heart of southern Africa, is one of the continent’s most storied safari destinations. The country contains a wide variety of terrain and habitat, from the Zambezi Valley in the north to the game-rich Lowveld in the south. Zimbabwe’s lengthy list of huntable game includes African wild cat, baboon, jackal, buffalo, klipspringer, kudu, bushbuck, bushpig, leopard, caracal, lion, civet cat, crocodile, nyala, duiker, eland, sable, elephant, serval cat, genet cat, steenbok, giraffe, grysbok, warthog, hippo, waterbuck, wildebeest, hyena, and zebra. The Zambezi Valley in particular is a major draw for big-game hunters, known for huge herds of elephants and one of the highest concentrations of Cape buffalo in Africa, as well as good populations of lions and leopards. The islands and marshes along the Zambezi also offer the opportunity to hunt hippos and crocodiles. A number of large, privately owned conservancies, including the Save and the Bubye Valley conservancies, also provide excellent hunting opportunities for plains game and dangerous game. Many of these conservancies started out as traditional farms and later banded together to create large, unbroken tracts of wildlife habitat. Application for a temporary firearm import permit for Zimbabwe can be made on arrival at the port of entry. There is no fee for issuing a firearm permit. Firearms import into Zimbabwe is fairly easy and straightforward, but traveling to Zimbabwe through other countries with firearms is not. According to EU Regulation (EC) No 314/2004, the importation of firearms and ammunition, including those for hunting/sporting purposes, from the E.U. into Zimbabwe is prohibited. European and British airlines will not carry firearms of any kind on flights direct to Zimbabwe. If you want to take firearms into Zimbabwe and you are flying from an EU country, it will be necessary to get two sets of tickets issued; one set for Johannesburg and another set for the onward flight to Zimbabwe. Canada has also implemented a ban on all firearms going to Zimbabwe, which includes hunting firearms. Because of this, you will likely travel through South Africa to enter Zimbabwe, and you will have to go through the process to clear your firearms in South Africa, which has strict firearms import procedures, and then re-check them for your flight to Zimbabwe. Most hunters arrive at the airport in Harare, Zimbabwe. In most cases, it’s necessary to take a charter flight from Harare to the hunting area. You should make arrangements to be met at the Harare airport by your outfitter or a charter pilot, who will assist you through the firearms permitting and customs process. It’s important to note that due to a cash liquidity crisis in Zimbabwe, the Reserve Bank of Zimbabwe (RBZ) has announced a series of measures designed to stem the flow of U.S. dollars out of the country. Tourists and visitors who do not have bank accounts in Zimbabwe should plan to bring sufficient cash with them for the duration of their trip. Expenses such as hotels, flights, and tours should be prepaid or paid for by credit or debit card. Hunters need to declare the amount of cash they are entering the country with and get a blue-colored receipt issued by the Zimbabwe Revenue Authority or they risk having any remaining cash seized upon leaving the country. 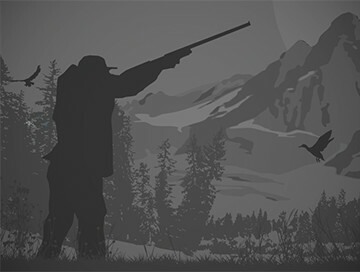 We are professionals and we like hunting the classic way. Big game hunting is done mainly on foot, by stalking. To approach dangerous game is an art and situations during a hunt can change any second. To get our clients as close as possible to their preferred game is our goal. If you want to experience hunting free ranging dangerous game, that way we appreciate it. We strictly do not hunt from cars. As most shots on dangerous game are fairly below 70 yards, we advise you to practice off hand shooting or from bipods, the so called shooting sticks... and use enough gun. The 7 day Leopard package includes 1x Leopard trophy. Please inquire for availability. 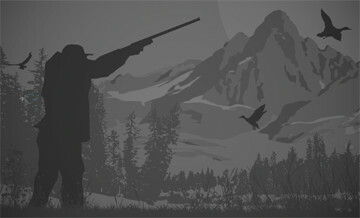 We are professionals and we like hunting the classic way. Big game hunting is done mainly on foot, by stalking. To approach dangerous game is an art and situations during a hunt can change any second. To get our clients as close as possible to their preferred game is our goal. If you want to experience hunting free ranging dangerous game, that way we appreciate it. We strictly do not hunt from cars. As most shots on dangerous game are fairly below 70 yards, we advise you to practice off hand shooting or from bipods, the so called shooting sticks... and use enough gun. Buffalo hunting is done in areas with abundant Buffalo. Our focus is sustainable offtake and focusing on Dugga Boys. We will only hunt the herds early in the year when the bulls are with the cows, but come June we avoid applying pressure on the herds where possible. This helps keeping the Buffalo herds in big numbers and is better for protection towards predators like lion and hyena. From June onwards we focus on the Dugga boys. This does make it harder but most certainly more rewarding when that mature bull is taken. A meat program exists in this area that helps communities with much needed protein. Our area of choice provides some of the biggest aquatic specimens any hunter could want(hippo croc). Combined with fantastic Lion, Leopard, Buffalo opportunities it adds well to our range of areas. This is primarily a big game destination where there is little time to specifically target plainsgame species - however kudu, zebra, bushbuck, warthog etc are encountered whilst doing the hard miles for big game and can certainly be taken with an opportunistic frame of mind. For more specific Zimbabwean plains animals requirements we recommend a day transfer to one of our Conservancies to finish up your safari with focused but relaxed plains game hunting.